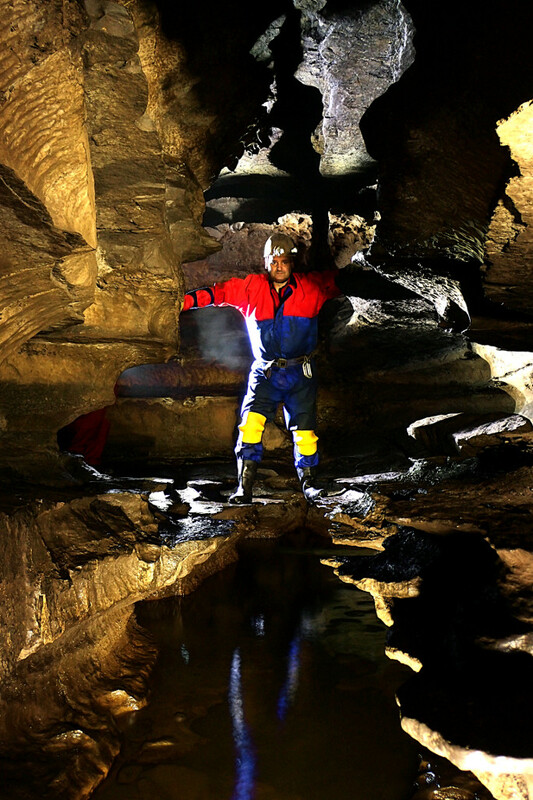 Situated in Blaenau-Gwent, there are many local caves, and some of the finest caves in South Wales, and even Britain, can be found within a five mile radius of Brynmawr. 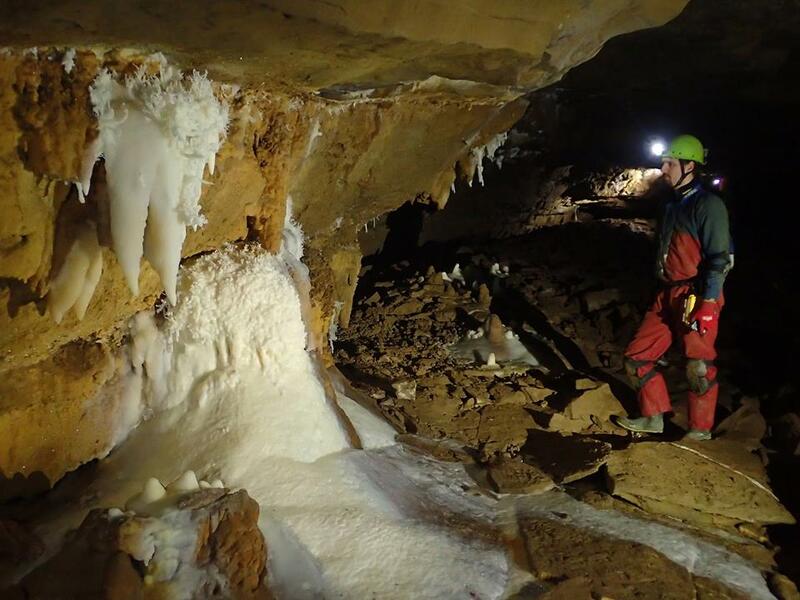 A number of our local caves are amongst the longest in Britain as well as holding a respectable place in the World Long Cave lists. 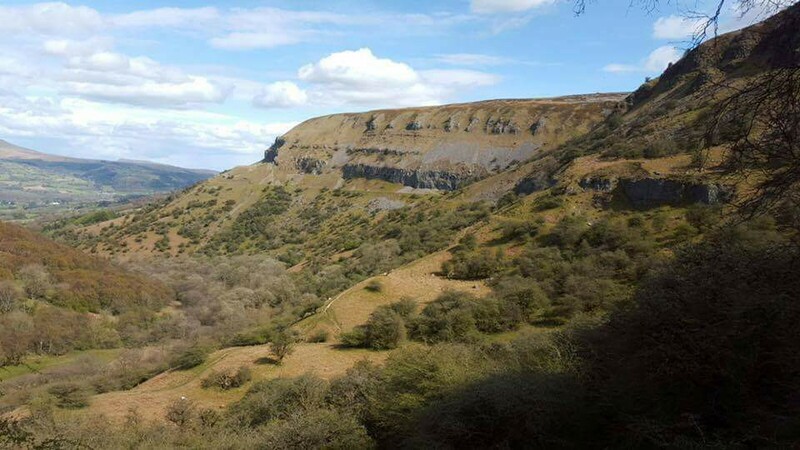 The potential for major finds is still here as well, with the long awaited link up of the major caves of the Llangattock escarpment still there to be discovered. There is also enormous potential beneath Mynydd Llanganydyr. A large area with very little known cave of any size, although water tracing has shown evidence of a large vadose system waiting discovery. 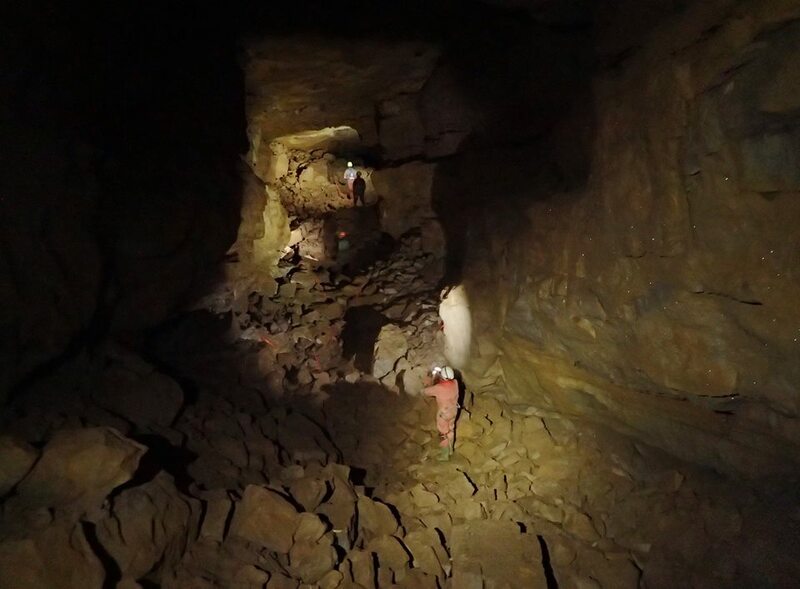 Members of BCC broke into a respectable but difficult cave in this area in 1997 that descends deep into the limestone and has shown that the potential is indeed there. If you want the big caves, then you go along the Hafod Road towards the Langattock Escarpment. Here can be found the two longest caves in this area after Ogof Draenen, namely Ogof y Daren Cilau and Agen Allwedd. These caves are again amongst the most impressive in the country with huge passages and startling formations. The discovery and descriptions of these caves have been covered more than adequately elsewhere and so I will not give them here. For descriptions of routes, the best publication is probably the “Exploration Journal of Llangattwg Mountain” published by Chelsea Speleological Society. This gives a detailed account of the caves and their exploration as well as numerous others on the escarpment. Alternatively, see the excellent Ogof.org for may photographs and descriptions. Directly below Brynmawr is the Clydach Gorge. 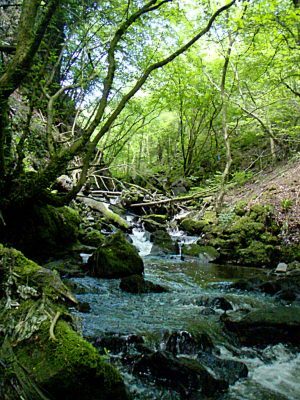 Here a great deal of the water that flows through the mountains resurges to join the Clydach River. A fine day can be had just traversing the gorge, following the river and inspecting the various features that can be found on the way. Drop down into the gorge at the right spot and you will find the Fynnon Gisfaen Resurgences, here millions of gallons pour out from a number of spots, mostly covered over by the water board. It is here that the water from Ogof Carno, entered via an old adit several miles away, sees the light of day again. Make your way downstream, Ogof Nant Rhin on the northern bank can be visited if you are small enough, further on though and you come to the large entrance to Brynmawr Old Dig on the southern bank. This is an old dig site worked by members of Brynmawr Caving Club for many years. The entire length of this cave has been exavated by hand but unfortuntely it appears there is little prospect of breaking through into new, open cave passage any time soon. Opposite Brynmawr Old Dig are some small entrances that can be inspected, Tradesman’s Entrance, Scorched Earth Rift and Tuck’s Rift, which again may provide some potential for new cave. This part of the gorge is truly beautiful and worth a visit just to sit above the river and enjoy the surroundings. If you don’t mind getting wet, you can now follow the river through a small canyon that emerges into a wider part of the river. Pylon Cave on the southern bank is soon reached, this is a roost for bats and their disturbance should be avoided. This cave is probably associated with Ogof Clogwyn which is only 35m further downstream, a fine stream cave used by many a beginner. Well worth a visit, a trip to the end and back takes very little time but the stream passage is very fine with excellent examples of phreatic shelving. 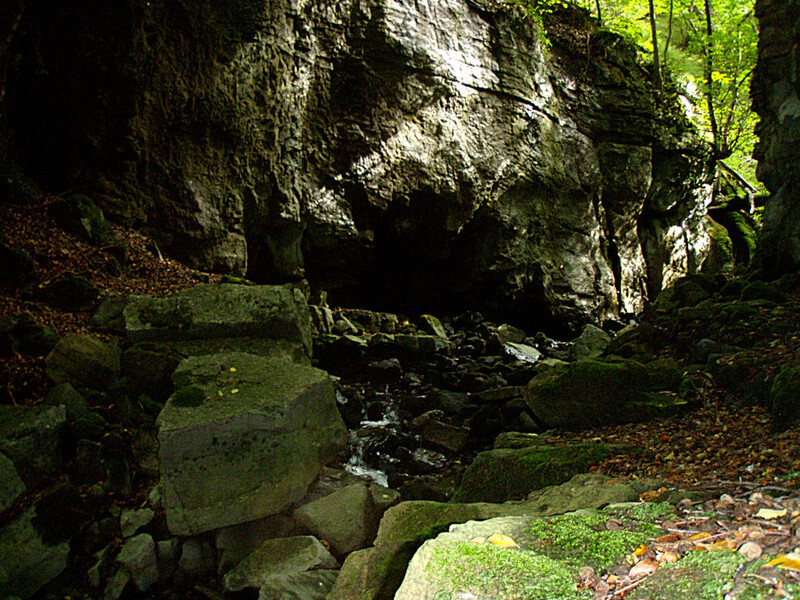 After visiting the cave, leave the river and follow the small path up and out of the gorge. 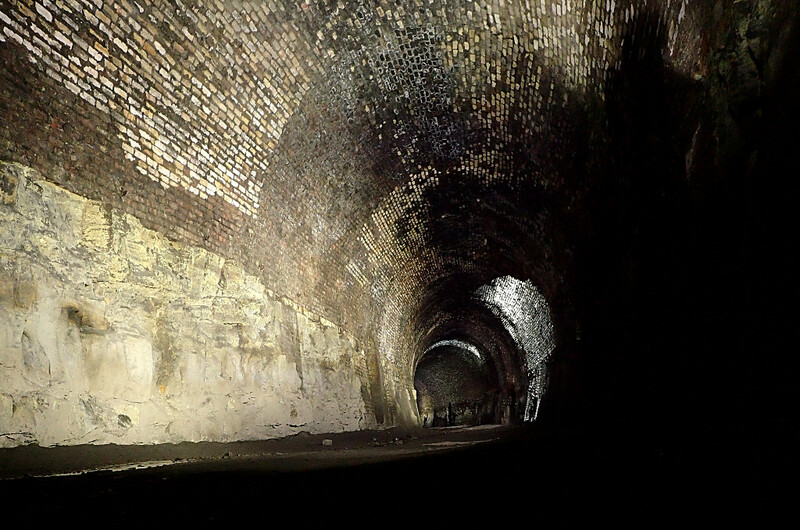 Work your way up towards the old railway line that used to run from Brynmawr to Abergavenny and find your way to the Gelli Felen railway tunnels. These can be passed through and emerge above another valley that feeds into the gorge. To your right, as you emerge, scramble down with care to meet the stream. This flows into a very large stone-built culvert that takes the stream down into the gorge. This descends via a series of huge stonework steps until emerging into a wide valley far below the railway line. Going downstream you will again find youself in a small canyon with a number of cave entrances. To your right is Shakespear’s Cave that winds its way into the side of the gorge until an impassable crack is met. The water from here issues from the streamway found at the bottom of Llanelly Quarry Pot, here actually only a short distance away, but the entrance is high up in the quarry above the old railway line. Outside Shakespear’s Cave you are again in one of the gorge’s more magical places, full of serene beauty that makes it a place in which to linger. Now the way on is to move upstream, below high cliffs that skirt the widening clydach river. It soon narrows again to run fast and deep through a narrow canyon that leads to the waterfall at Devil’s Bridge. Before that though, scramble up a muddy slope and with extreme care follow the very narrow footpath that follows the top of the canyon to reach Devil’s Bridge itself. Caution, this path is extremely hazardous and people have fallen here. Instead you can cross the river to scramble up fallen boulder, ducking under a large fallen tree to pass by the entrance to Ogof Capel. This cave has been said to be one of the most beautifull in Wales. Nearby is Ogof Gelynnen that was dug to its present extent by BCC members but left to preserve Ogof Capel when it was clear it would join with it. With the threatened dualling of the A465 above, a dry way through the end boulder choke was engineered by the legendary Tony Donavon and BCC member Roy Morgan. The way from here is obvious and leads up back to the height of the road and the Heads of The Valleys Road again. If Devil’s Bridge is visited, leave the main path and follow the path by the river, again a place of great beauty, until you reach a large upwelling in the bed of the river. This is Pwll y Cwm, a major resurgence of Agen Allwedd, Daren Cilau and others of the Llangattock Escarpment high above. It is possible to traverse the entire way from the Llangattock Escarpment to here if you are a diver. 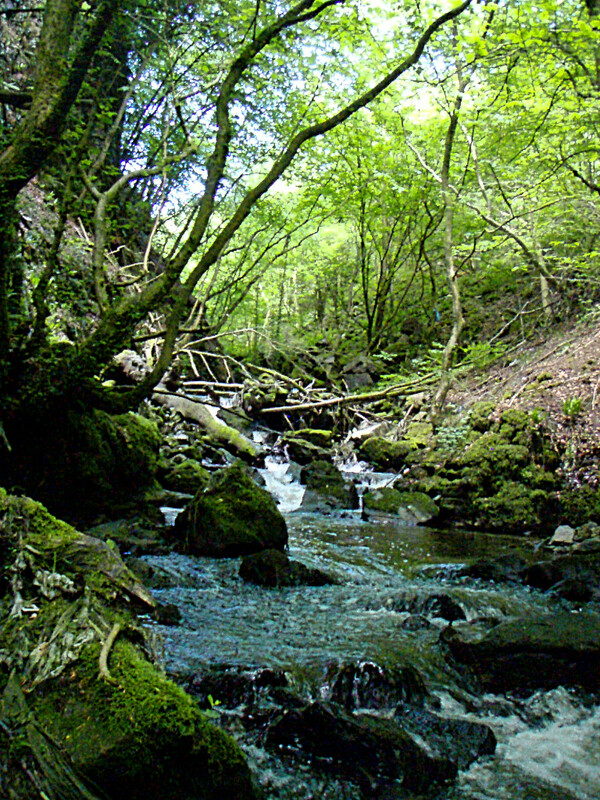 The Clydach Gorge has much more to offer the caver with much potential still to be discovered. It is also a place of extreme beauty that very few actually explore. It must be noted though, that many places within the gorge are very dangerous and great care must be taken. The route I have described here, would not be suitable for small children or the infirm. Of course one cave that shouldn’t be forgotten is Ogof Craig a Ffynnon. This is arguably one of the most spectacular caves in Britain with huge passages and breathtaking formations that extend throughout the cave length. The entrance leads to a passage that brings one past many formations almost within shouting distance of the gate and on to the first choke. Ascending this and a crawl through a wet gravelly crawl will take you to the bottom of a double pitch. This is generally climbed with the assistance of a handline to take you to the base of the second boulder choke. A bit of sweating and you find youself in a large passage that after some of the most comfortable crawling in South Wales, leads to truly huge and spectacular passage that gets bigger and better as you progress. This passage ends as it turns the corner into the stupendous Hall of The Mountain King, usually accompanied by an appreciative expletive by those there for the first time. After just sitting and admiring nature’s handywork, further progress can be made via the third choke and a long crawl that starts out as flat out and improves to hands and knees. 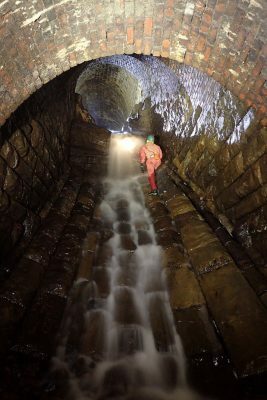 Eventually Severn Tunnel is reached, a tall, straight, impressive passage, that leads to Severn Tunnel Junction from where you turn into another huge passage bigger than that leading into The Hall of The Mountain King. The passage continues until the fourth choke is met that is passed by entering on the right and exiting on the left via a chamber in the middle of the choke. (Beware, this choke is reportedly now unstable). After passing the choke you regain the huge passage that finally bends to the right and ends at the fifth boulder choke. Before this however you can descend a pitch (ladder required) that takes you on into the Promised Land. 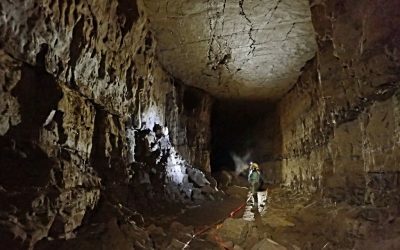 One of the more recent major discoveries is that of Ogof Draenen. It is part of the Clydach Gorge area although one could argue that it should have an area all of its own. A spectacular system that has the potential to become the longest in Britain. Indeed, some would argue that if you take the number of entrances into account, then it should already hold this honour. It had always been a known site and part of a number of small interesting features to be found in and around the Pwll Du area. Theo Schuurmans wrote in “A Caver’s View of the Clydach River” published in 1986, “A small but interesting cave which is found by following the small stream near the turning of the track off the main road.” He continues, “It is a phreatic tube, first explored by Cwmbran Caving Club that ends after a tight left hand bend in a small boulder choke. 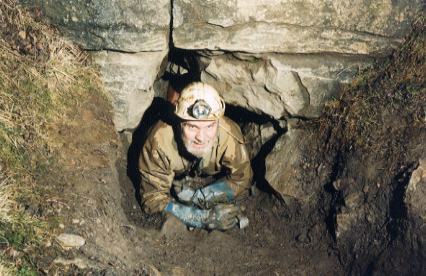 A very strong draught is present at most time and the cave might certainly ‘pay off’ with a ‘bit of a dig’.” How right he was, after an extensive dig, members of Morgannwg Caving Club, that included a BCC member, broke through, and the cave rapidly gained in length until today it is in excess of 60 kilometers. This is a huge cave with on-going potential that seems almost certain to rob Ease Gill of its crown one day. BCC members are still involved with original exploration within Draenen and some of Huw Jones’ trp reports describe recent efforts. 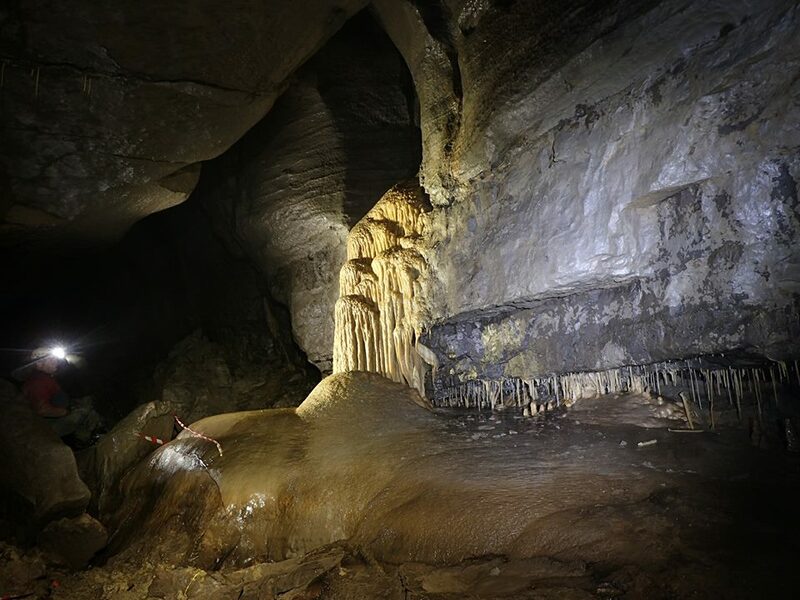 For more information on this remarkble cave, see the excellent description provided by Mark ‘Tarquin’ Wilton-Jones along with survey here. The Central Northern Outcrop is the area that encompasses the rest of the limestone area not covered by the Clydach Gorge and the Llangattock Escarpment. Most of the caves are small, but there seems to be massive potential here for large systems deep under the moors. A discovery of Brynmawr Caving Club’s is that of Crescent Cave. Formerly a “Lesser cave or site of special speleological interest” in Caves of South Wales, this cave has now been extended deep into the limestone and is now one of the longest in the area. 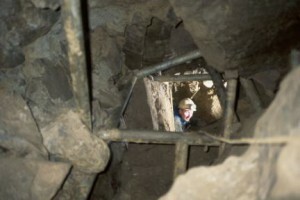 However, the entrance shaft has now collapsed and some work would be required to open it upgain and make it safe. Another cave neaby and well worth a visit, Chartist’s Cave, is over 1400ft in length but enigmatic in the large chambers with many small passages leading off, that should, by all reasoning go somewhere. 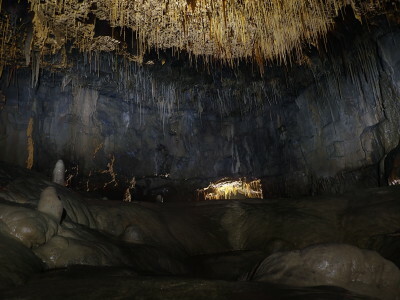 Furthe away, Ogof Cynnes is a delight to those that like mud but also quite extensive with water traced to the Ffynnon Gisfaen resurgences in the Clydach Gorge. There seems to be a lot of cave under this area, unfortunatley, it is also very difficult to get into. Evidence points to a large vadose system under the Llangynidr moors, that if entered could link up with other large caves such as Agen Allwedd and Ogof Carno.